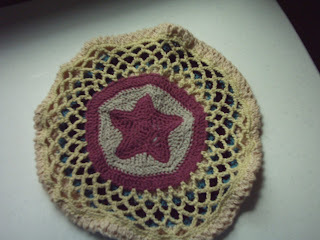 It is crochet in many different fibers that I had laying about. Several different colors including black and teal that you can't really see because the batteries in my camera decided to crap out with this last picture. Though I think I will post the face side later tonight with the dimensions.